2. When he bought Peter Sellers's 15th-century mansion in Surrey, Ringo cut a cat-flap in the priceless front door which Sellers had had imported from Italy. 3. When he had his tonsils out at London's University College Hospital in 1964, so many fans rang up to enquire after his health that the local telephone exchange had to intercept calls and give a report. 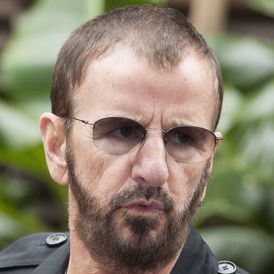 The operators had a large blackboard in their room displaying up-to-the-minute news of Ringo's progress. 4. The screaming at the height of Beatlemania drowned out the rest of the band, so Ringo could only stay in time with John, Paul and George by watching their bums go up and down.